Jewish United Fund’s Russian Jewish Division in Chicago established an initiative that helps develop and support projects created by Russian-speaking Jewish individuals age 22 to 40. The word Tikkun means “to repair” and comes from the phrase Tikkun olam – “repairing the world” (or “healing and restoring the world”). It suggests humanity’s shared responsibility “to heal, repair and transform the world.” Many projects were submitted but only 8 were selected to receive grants, and David Lisker, was one of them. 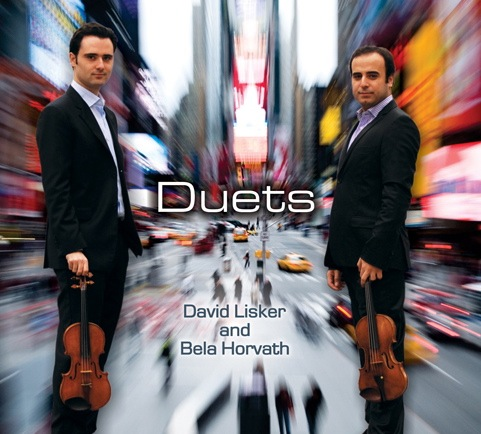 David’s proposed project was to create an event celebrating the music of composers who were directly affected by the Holocaust and World War II. 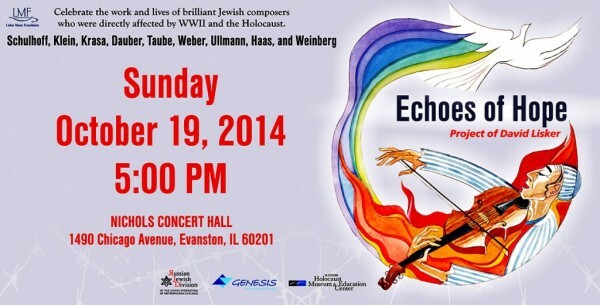 This project would become Echoes of Hope, which took place on October 19th at 5:00 pm. JUF not only provided a financial grant, but also be arranged for 100 Holocaust survivors to be in attendance, setting up the evening to be one of the most memorable concerts of the fall.